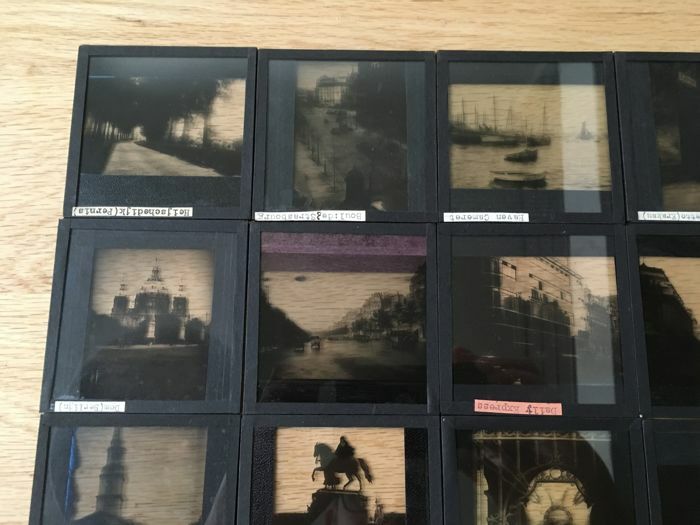 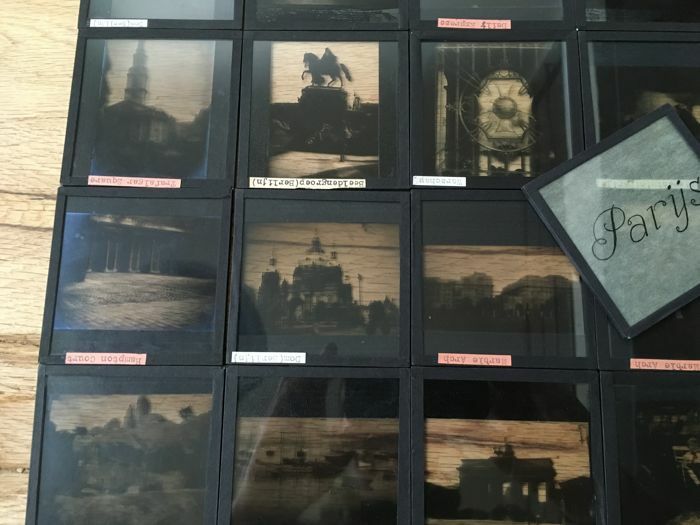 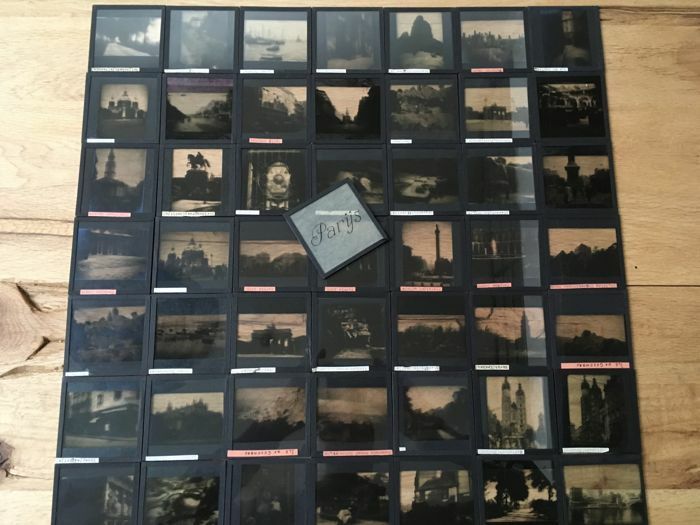 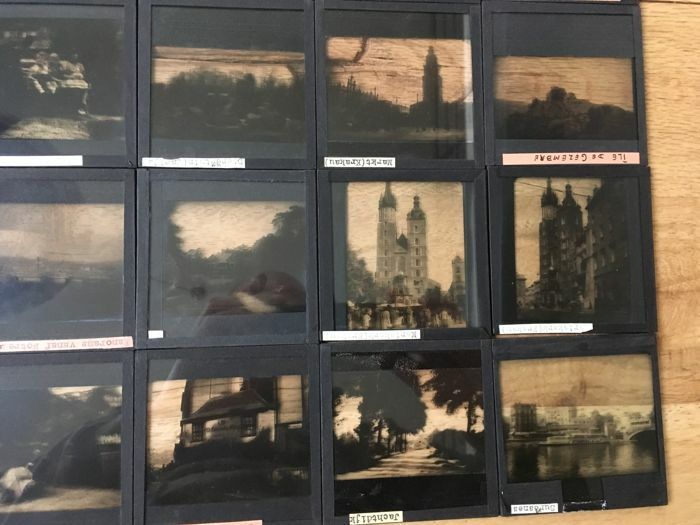 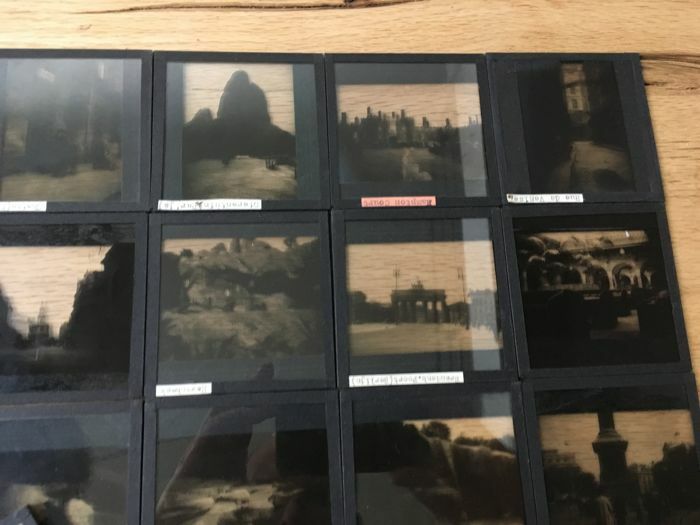 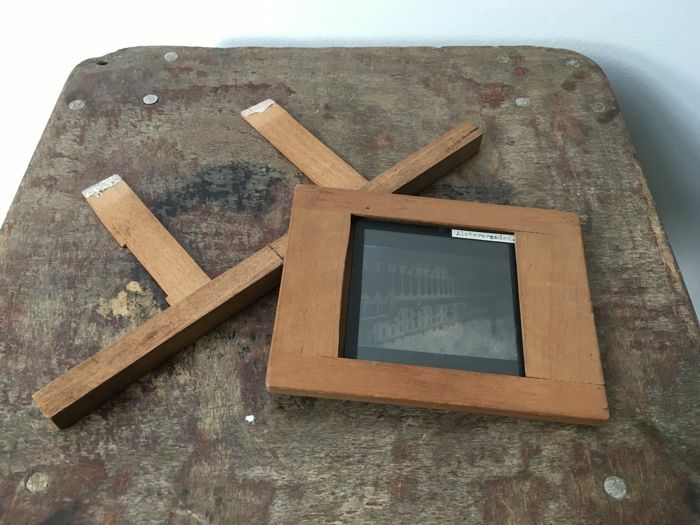 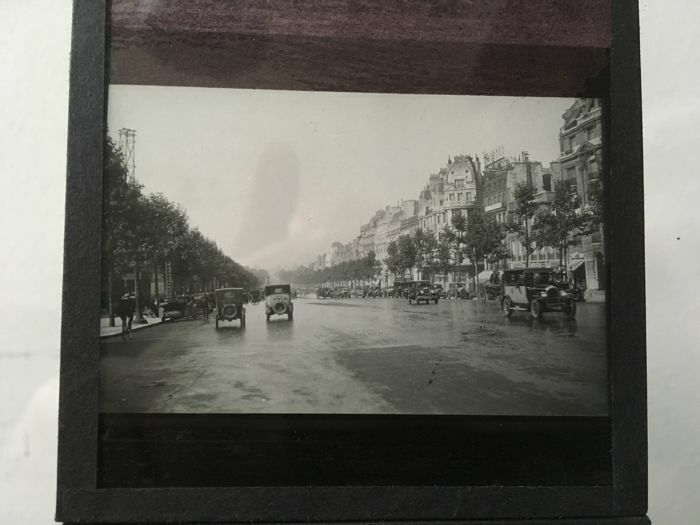 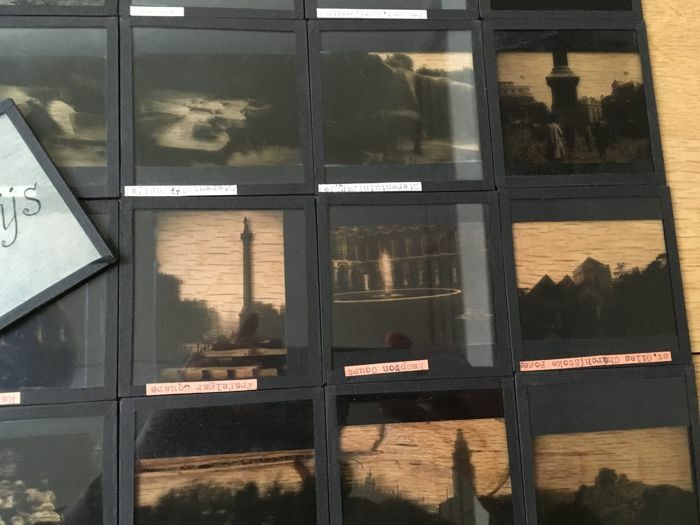 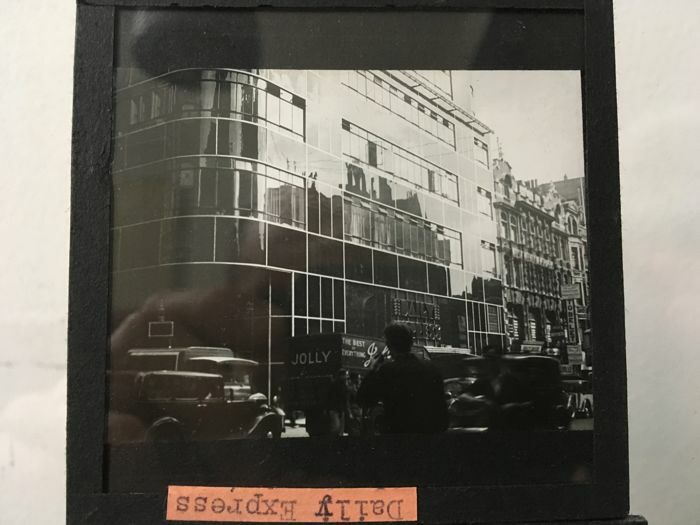 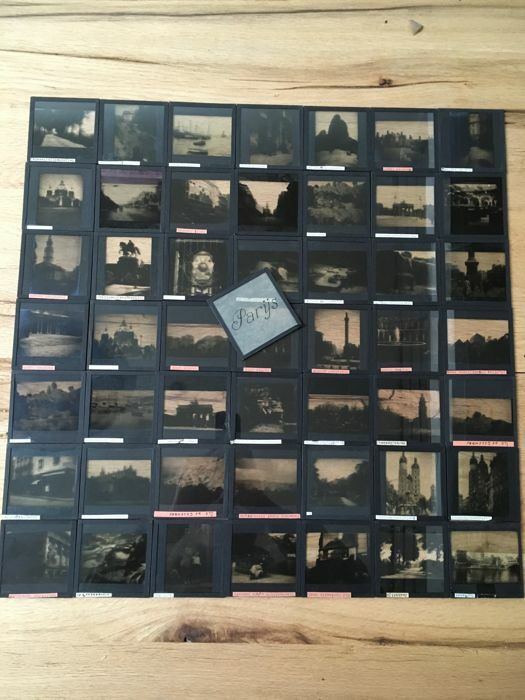 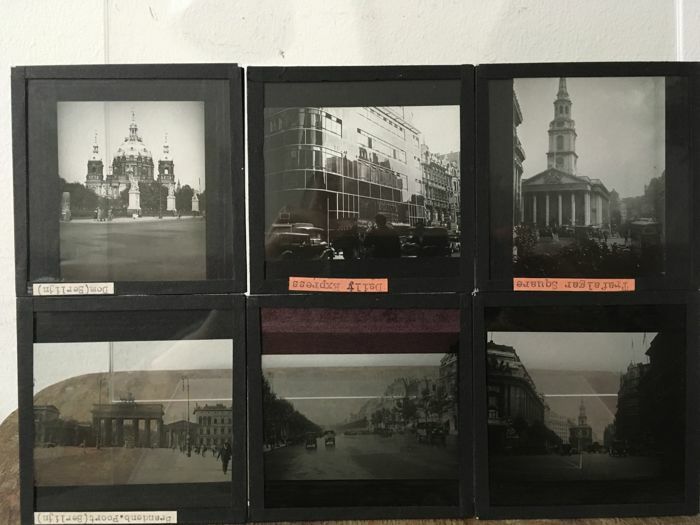 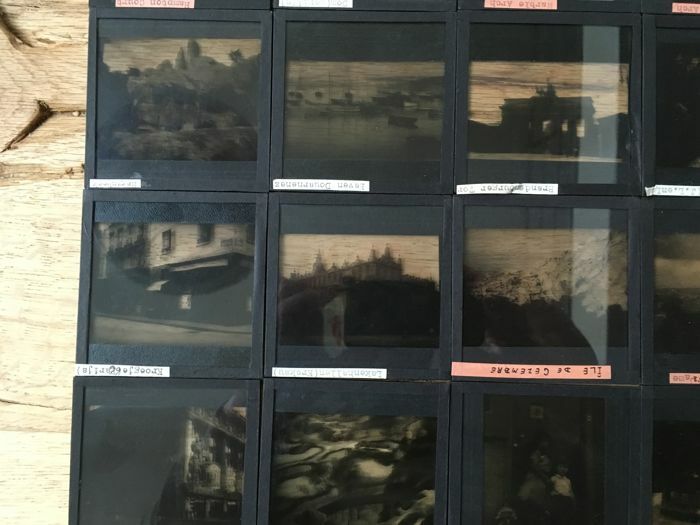 Beautiful and rare lot consisting of a slide projector/ magic lantern and 50 glass large image slides (8 x 8) about various European cities. 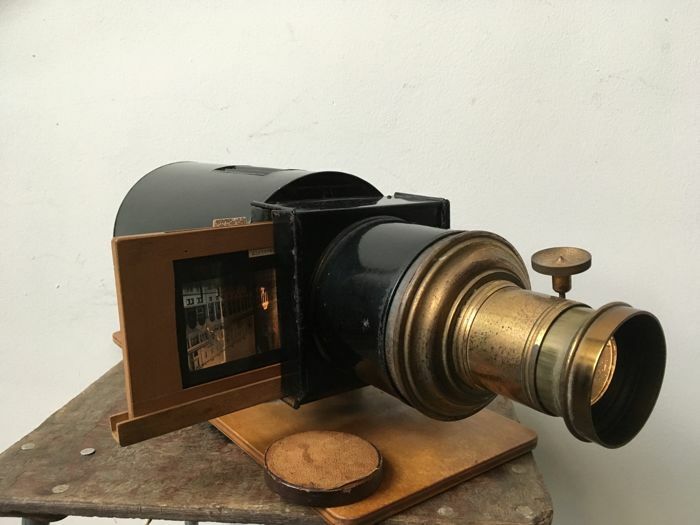 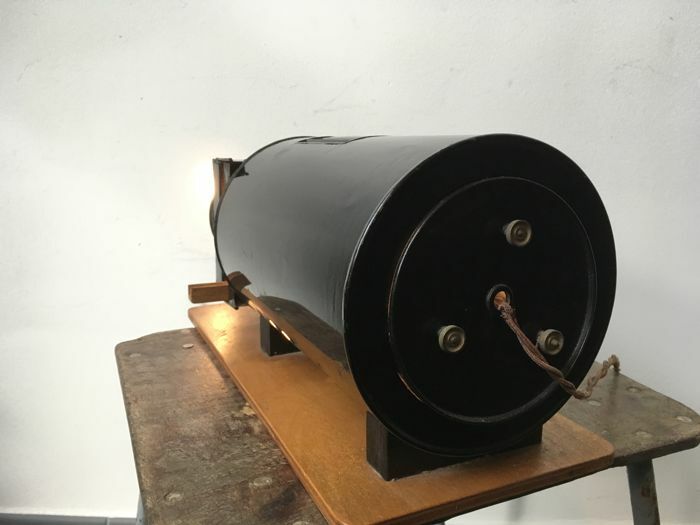 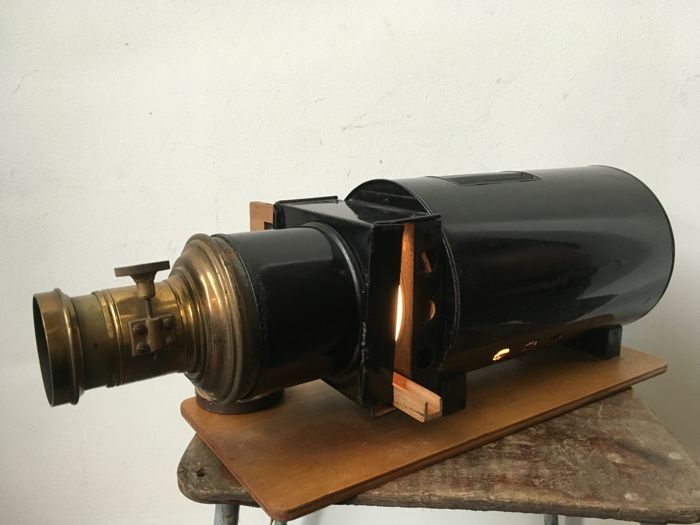 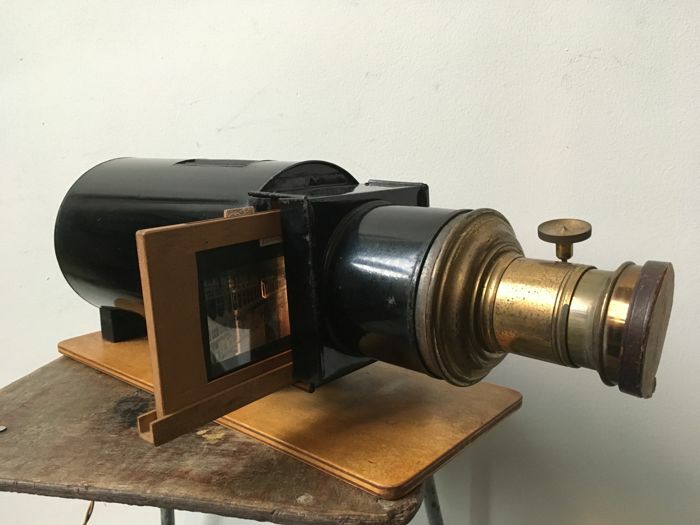 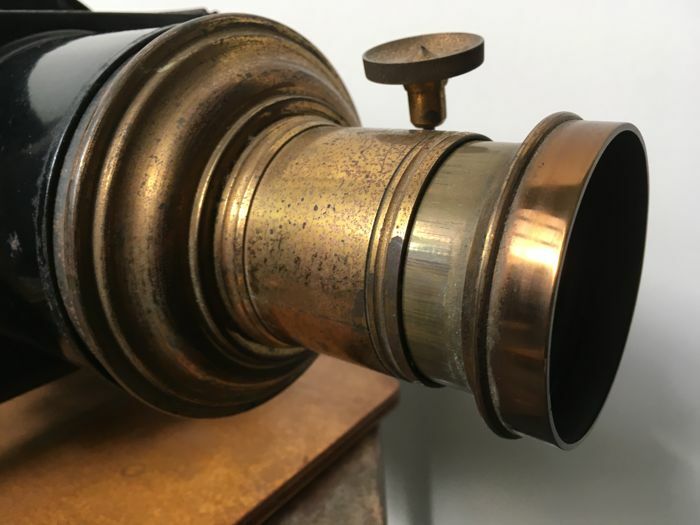 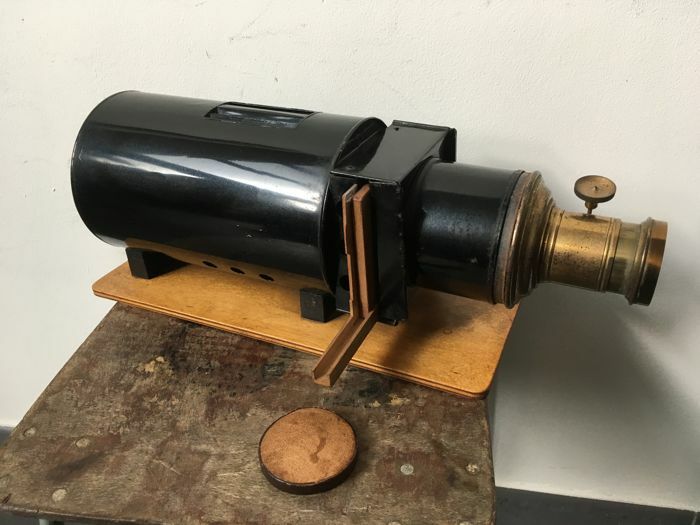 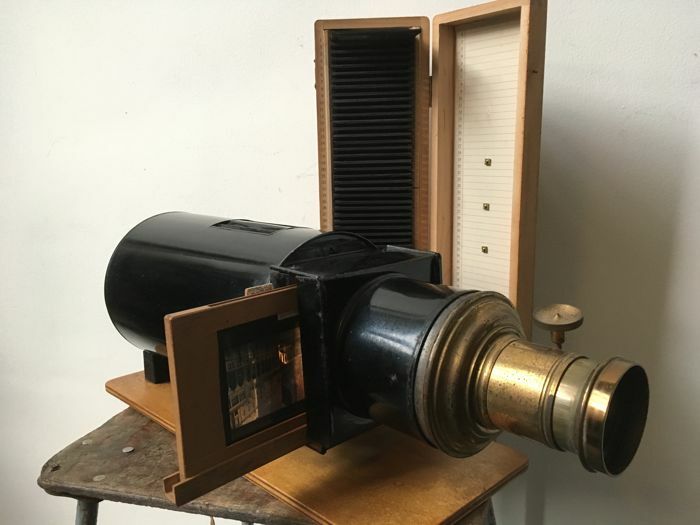 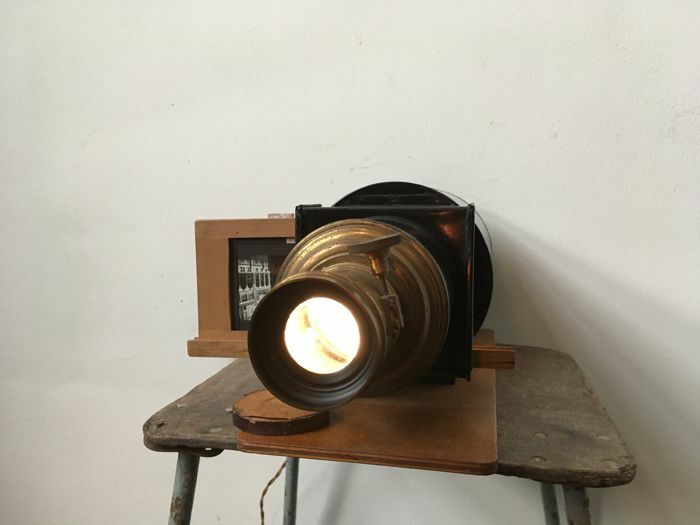 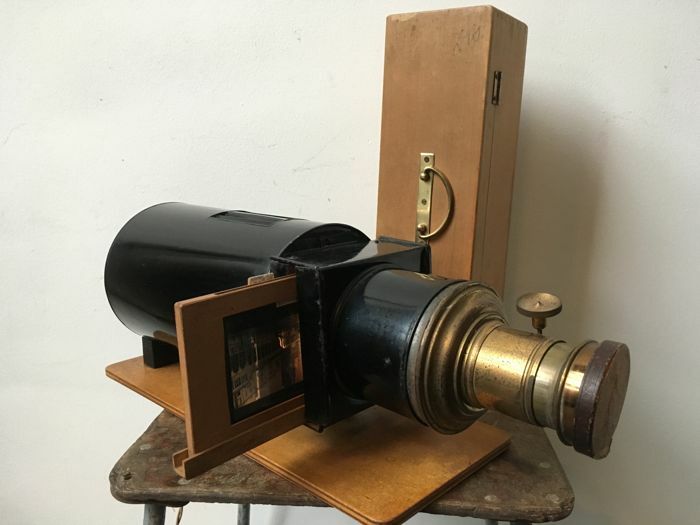 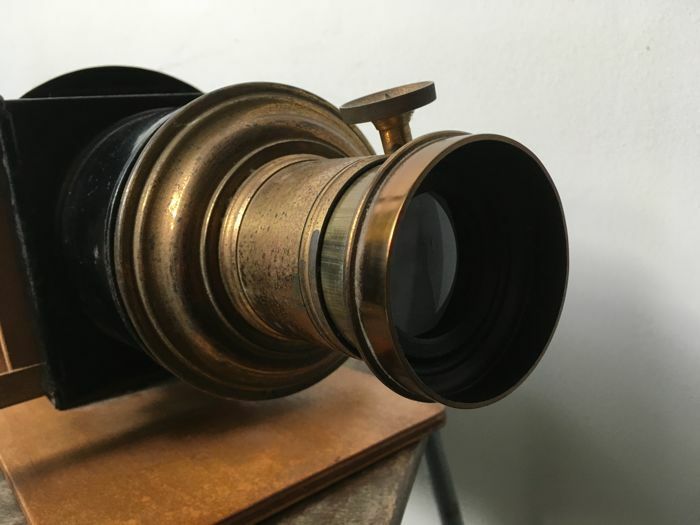 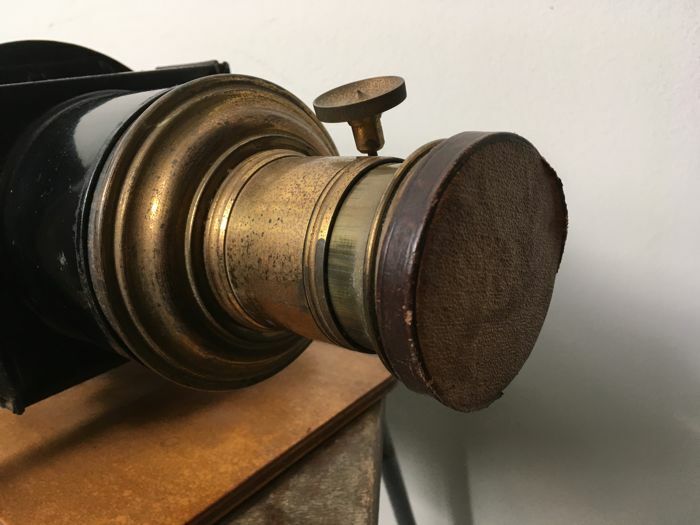 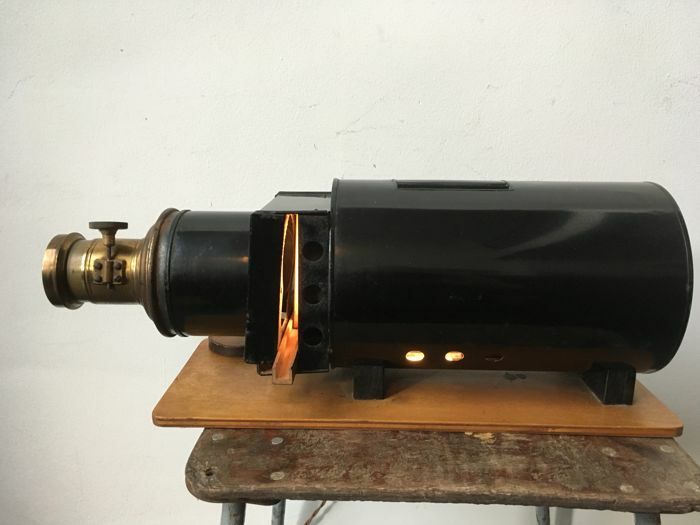 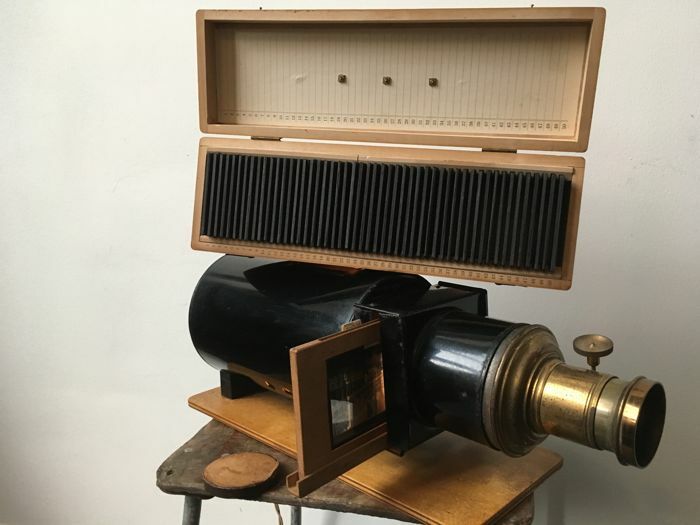 The slide projector is very old, estimated 1920s or 1930s, still in a good condition, with brass lens including leather lens cap. 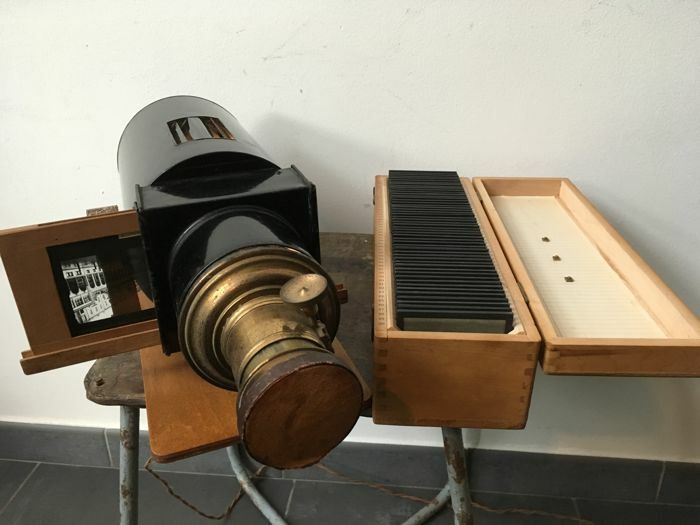 The glass slides will be delivered in the old wooden box which can be seen on the photos. 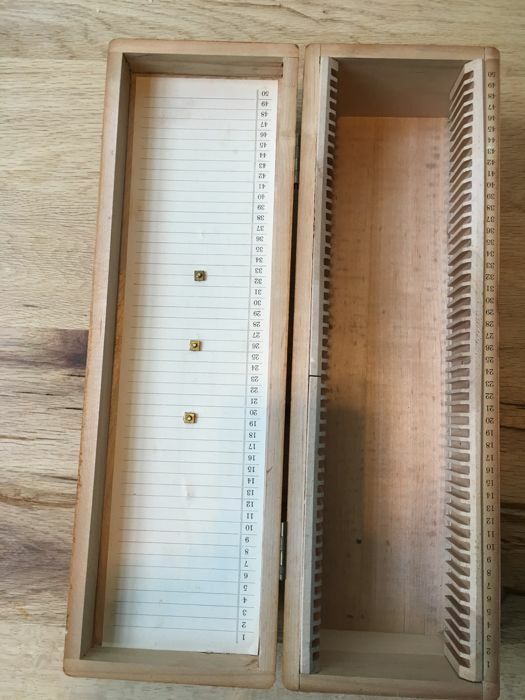 The package will be shipped with the utmost care after payment.